This month will be full of events at cultural heritage sites across the nation, giving us a chance to reflect upon history and to commemorate the 70th anniversary of Korea’s modern independence on Aug. 15, 1945. 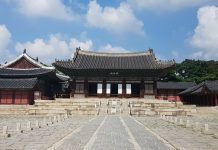 Gyeongbokgung, Changdeokgung, Changgyeonggung and Deoksugung palaces, the Jongmyo Shrine and royal tombs from the Joseon era (1392-1910) will be free to the public from Aug. 14 to 16. There will also be various performances and exhibitions designed to help us reflect upon history. The “Great Cultural Heritage Opens our Future” festival will be held at Gyeongbokgung and Deoksugung palaces from Aug. 13 to 30. In connection with special night-openings at the palaces, there will be evening concerts in front of the Gyeonghoeru Pavilion at Gyeongbokgung Palace from Aug. 13 to 15. The stage for the concert will be set against the Gyeonghoeru Pavilion and its adjacent pond. The repertoire includes the Seonyurak royal court dance that originated from boating traditions during Silla times (57 B.C.-A.D. 935), the Ogomu five-drum dance and a fan dance. Master gugak singer Ahn Suk-seon will perform on a boat during the concert. Another traditional music master, Lee Saeng-gang, will play the daegeum wooden flute and Kim Hae-un will play the cello. The Gyeonghoeru Pavilion at Gyeongbokgung Palace is lit at night. At Deoksugung Palace, a light show will begin every night at 8 p.m. and 8:30 p.m. from Aug. 13 to 16, projected onto the façade of the Seokjojeon, a Western-style stone palace building. The show will take place twice per day at the stone palace, which is now home to the Daehan Empire Historical Museum. The images in the light show will echo the history of the Seokjojeon palace. An exhibition will also be held at the Jungmyeongjeon, another historic Western-style building at Deoksugung Palace, until Sept. 6. A treaty was signed at the building between Korea and Japan in 1905, forcing Korea to become a “protectorate” of Japan. An important decision was made at the building in 1907 to send a special envoy to The Hague in a bid to protest the treaty. The “Jungmyeongjeon Goes Beyond Hardship and Heads to Future” exhibition is designed to look back on the drive for independence and to share with people some historical lessons. A light show will take place on the façade of the Seokjojeon at Deoksugung Palace from Aug. 13 to 16, part of celebrations to mark the 70th anniversary of Korean independence. On Aug. 20, another traditional music performance will be held on a special stage in front of the Hamnyeongjeon at Deoksugung Palace. The performance marks its 100th show that day and will feature a traditional exorcism, a wooden daegeum flute performance, some pansori narrative singing and a traditional samulnori drum and dance performance. There will be a meeting between authors and the public, as well as musical performances at the Jeonggwanheon, another building at Deoksugung Palace, on Aug. 25, 26, 28, 29 and 30. The authors will talk about literature, fashion, history, film and popular music in relation to each of their books. For reservations, please visit the Korea Cultural Heritage Foundation’s homepage (www.chf.or.kr). Finally, a special exhibition is underway at the Ojukheon & Museum in Gangneung, Gangwon-do Province. The exhibit is about two famous texts: the “Annals of the Joseon Dynasty,” assembled between 1413 and 1865, and the “Uigwe,” also known as the “Royal Protocols of the Joseon Dynasty.” Both of these historical tomes were once kept in the Odaesan Mountain historical archive. The archives are one of the four archives built during Joseon times after the Japanese invasions of 1592. During formal colonial times (1910-1945), the annals and the protocols were forcibly taken to Japan, but the annals were returned in 2006, followed by the protocols in 2011. ‘The Annals of the Joseon Dynasty,’ which were housed in the Odaesan Mountain historical archives, are on display at the Ojukheon & Museum in Gangneung, Gwangwon-do Province. The book of royal protocols shows Queen Myeongseong’s (1642-1684) wedding ceremony. The exhibit will feature 10 original books from the annals and 40 original books from the protocols, as well as photographs and artifacts used at the royal Joseon court, narrating the history of the traditions and acts of the royal court. Among other things, the records explain how an emperor is installed, how to perform a royal funeral, the architecture involved in a palace’s design, the protocols for a royal wedding, the royal annals, the creation of a king’s portrait and how to grant a royal title. The exhibition will continue until Aug. 31. 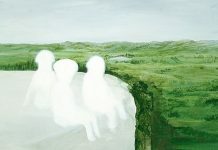 For more information, please visit the Ojukheon & Museum homepage (https://ojukheon.gangneung.go.kr/).